Arthur Qilafyan,one of the best representatives of ceramics art in Armenia, was born in Yerevan in 1974. He became interested in ceramics since 2000 and gained the initial knowledge in that sphere from his cousin. At first it was just a hobby, and in quite a short time Arthur turned from an amateur into a professional. 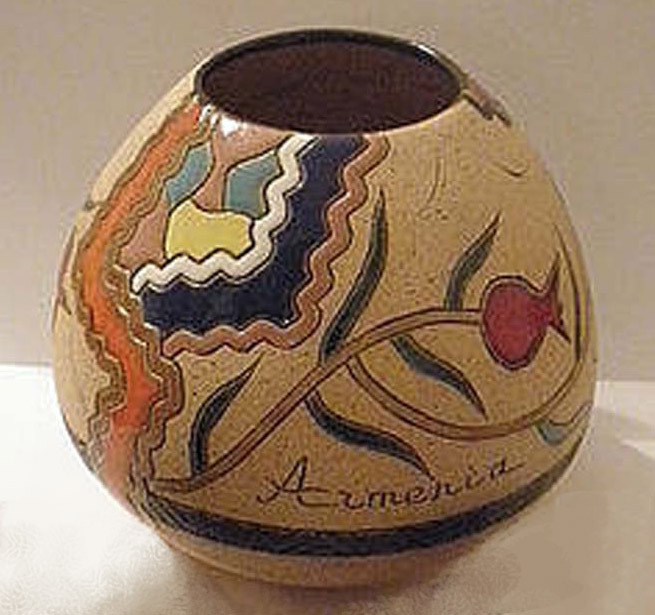 During the years, due to his hard-work and self-education Arthur discovered a lot of secrets of ceramics art. He works mainly with red and white faience. The objects of his appliances are glazed and colored traditional souvenirs combining with the style of Sgraffito, but there are also domestic products and art objects. His works mainly express the eternity symbolizing ornaments of the Aryan tribes, as well as Armenian rock paintings and miniatures. 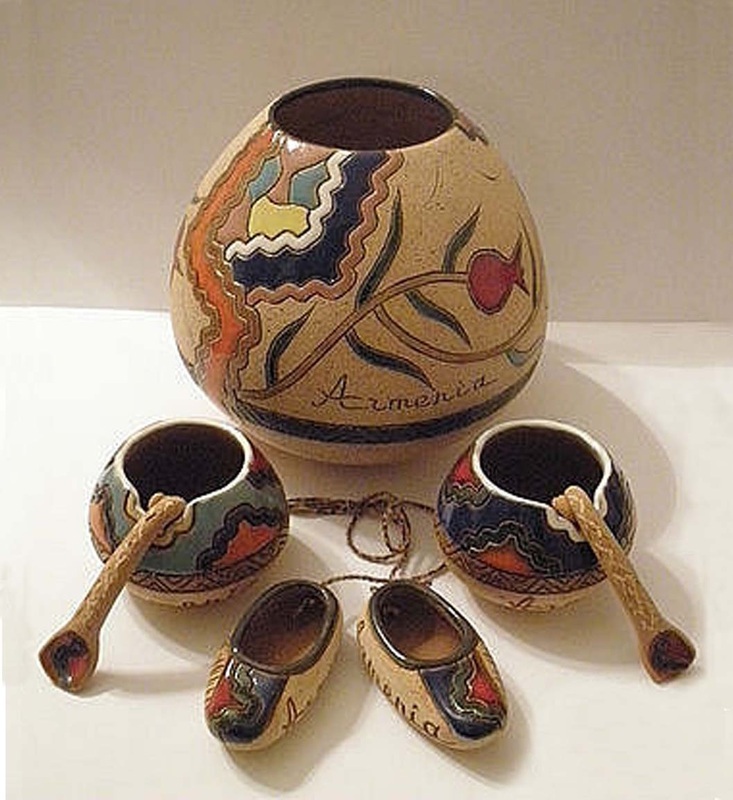 Arthur Qilafyan has exposed his unique collections of ceramics in various exhibitions in Armenia and abroad. Handmade Armenian ceramic Vase with their cups for spices and containers for spices made in design of shoes. This is a kit , but you can order separate example of each of set. 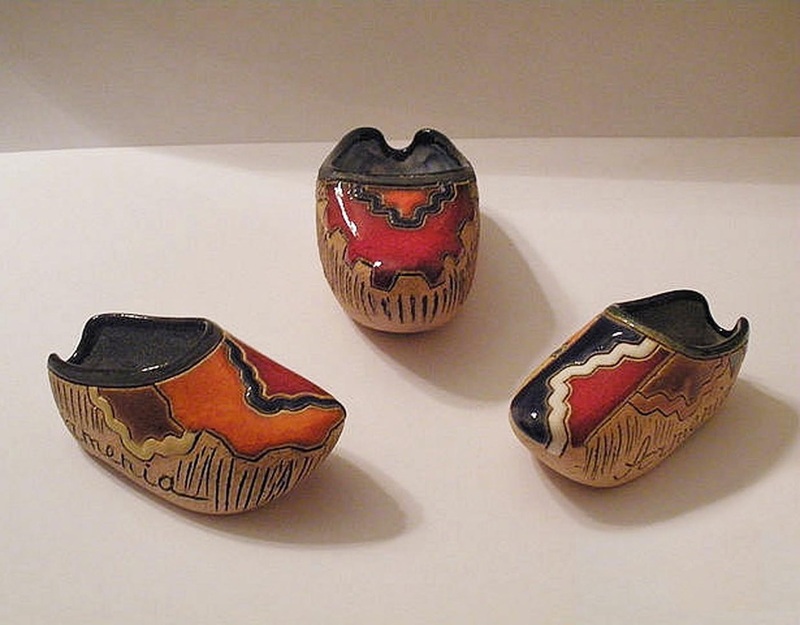 Handmade Armenian ceramic containers for spices made in design of shoes. 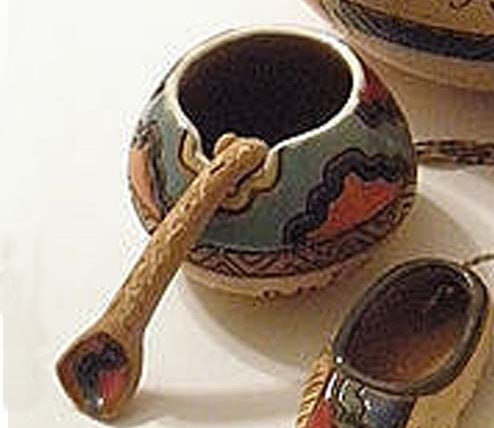 Handmade Armenian ceramic cups for spices. Only handmade kit from ceramic. 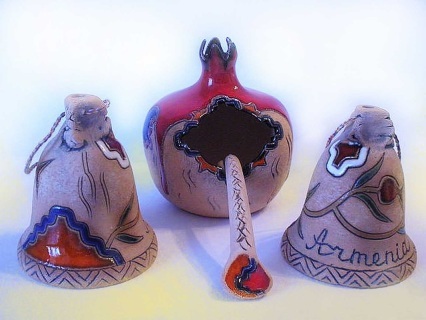 Pomegrenade for spices and two ceramic bells. 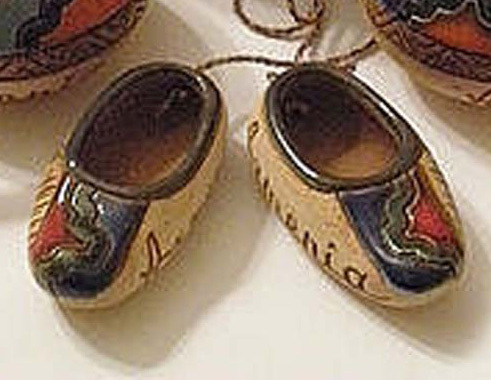 Only handmade ceramic shoes. Can be used as an ashtray or container for spices.